If you’re looking for a gift to wow your husband or boyfriend, the Philips Norelco HS8420 rechargeable men’s shaver is sure to do the trick. 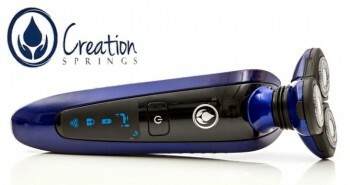 This shaver not only utilizes the latest shaver technology, but it makes a unique gift too. Philips is one of the world’s leading manufacturers of electronics, health care machines, and personal care products. 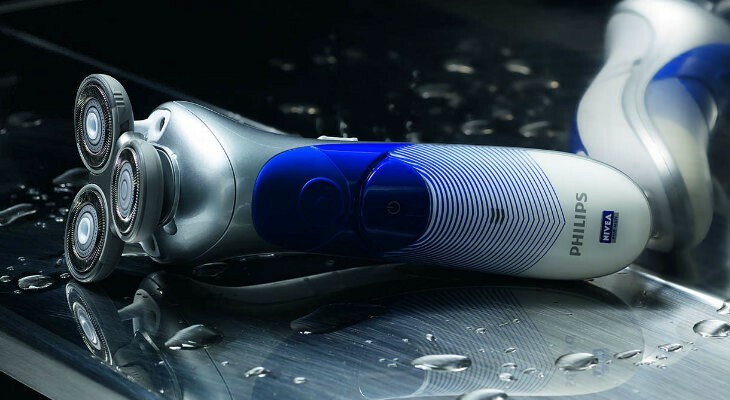 One glance at this shaver, and you’ll stop and take a second look. 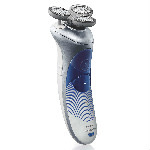 This shaver is built with a white and grey casing that gently slopes forward for a man to easily grip in the shower or out. It has some striking blue colored graphics on the front, with a blue push button. 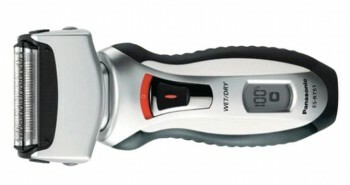 This shaver is rotary style, but what you’ll notice is that each of the three rotary blades are thinner than most, allowing them to more easily move around a man’s face. There is actually a compartment within the shaver where you place the Nivea face conditioner. As you shave, it will lift up and through the shaver blades, helping to make your shaving experience even better. 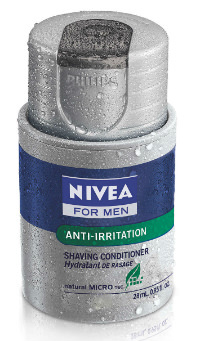 Philips recommends that you use Nivea shaving cream to increase your shaving experience. The cream will prepare your skin for the blades, and shaving will be faster than shaving dry. Your skin will be left smooth and soft afterwards, without any discomfort or redness. Inside the Nivea cream is a conditioner that contains Microtec that protects the skin from irritation. You can also pat the Nivea on your face too, as it’s not necessary to fill up the shaver compartment with the conditioner, but it certainly makes shaving much easier. 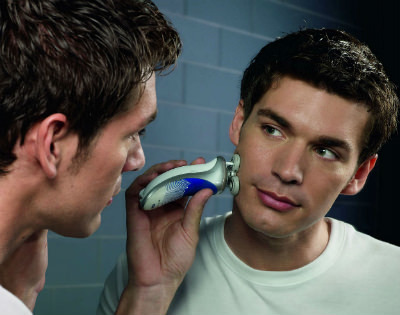 This shaver utilizes the Philips “stretch and lift” technology, helping to quickly shave off stubble from the face. Each head is independent of the other, so while one is shaving your chin, the other is shaving your neck line, all more efficiently than having to constantly keep the shaver moving. You can shave wet or dry, over the sink or in the shower, as the Philips Norelco HS8420 is completely encased and waterproof. The anti-slip grip will keep you from dropping your shaver and damaging it. On the front of the shaver is a battery charge indicator that will tell you how much charge you have left, and when you should plug it in again. The Philips Norelco HS8420 weighs around one pound, and measures 6.8” x 10” x 3.5 inches. In the box you’ll receive one Philips Norelco HS8420, a charger, and a sample bottle of the Nivea conditioner. While this premium shaver may not be for all men, it will certainly make a great gift for ones who prefer to have the ultimate shaving experience. 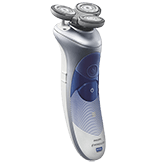 There are other shavers to buy if you have no intention of using the internal compartment for the Nivea cream. Once you try a premium-brand style of shaver, such as the Philips Norelco HS8420, you’ll never want to go back to a cheap model ever again.